The ActiveFloor System is the industry's leading Interactive LED Floor System. BrightLogic has focused years into perfecting the product and its capabilities. Whether you're looking for a simple Interactive LED Floor for a corporate event or are looking to integrate the ActiveFloor into a larger interactive experience, the ActiveFloor System can do it all. We've developed truly unique visualizers to keep your visitors coming back for more. Whether it's a simple burst or pulsing geometric shapes synced to audio, there's plenty of to keep you looking. Looking for a unique branded experience for an in-store activation or trade show booth? Our team of content developers create one-of-a-kind experiences for the ActiveFloor. Step onto the ActiveFloor and put on your game face! 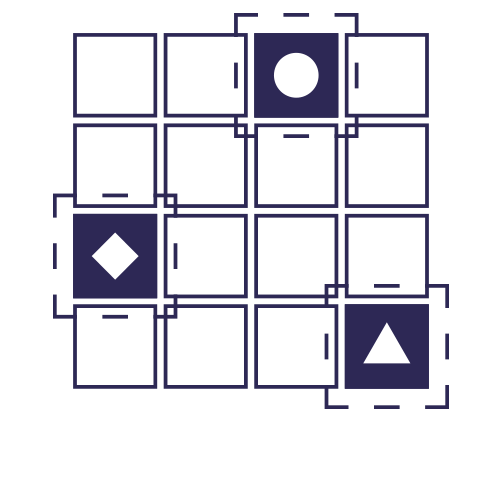 You can connect external screens to your ActiveFloor System so menus, high-scores, and other in-game interactions can be used. Our 1RU Video Controller manages all of the sense-data from the ActiveFloor LED Panels. The Video Controller supports up to a 4k input (HDMI) and manages up to 400 Panels per controller. Our 2RU Content Server is responsible for displaying dynamic interactive content on the ActiveFloor Panels. This High Performance workstation manages 10s of thousands of sensors 60 times per second (16 milliseconds). The graphics processor delivers smooth, beautiful graphics without hesitation.